Harajuku has long been recognized as the epicenter of young, Japanese subculture fashion, and the most recent of these trends is genderless-kei, a genderless-style fashion movement with popular talent and model Ryucheru at its helm. Over the past couple of years Ryucheru has become such a captivating fashion icon among Japanese youth that the government recently asked him and his wife, another popular model, to appear in a wacky ad aiming to boost low voter turnout by encouraging young adults who recently turned or will be turning 18 to register and vote in upcoming summer elections. 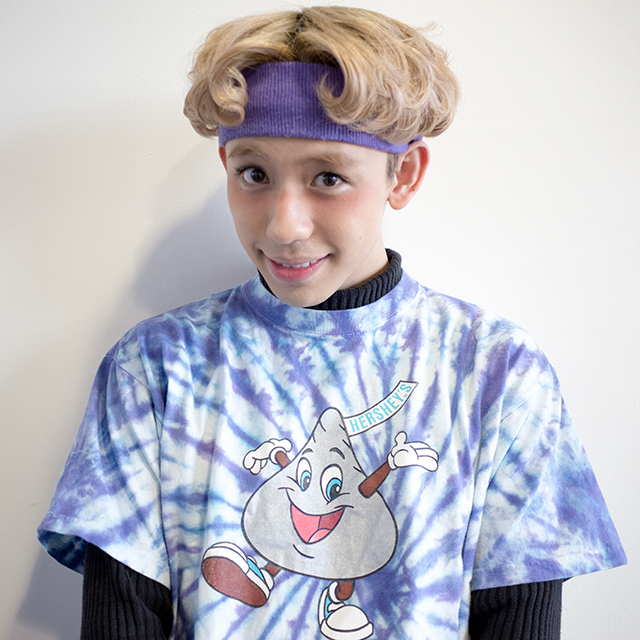 Dressed in his signature thick-soled sneakers and bandana/headband, Ryucheru is a force to be reckoned with in the world of Harajuku fashion, and one of our reporters, Nakazawa, was eager to grab just a little bit of that charismatic power for himself, so he paid a visit to the salon and asked the stylist there, Mr. Sato, to make him look like Ryucheru. Of course this Mr. Sato isn’t our Mr. Sato, the one you all know and love, but he’s been a willing accomplice in many of our other hijinks, including the time he helped turn our Mr. Sato into Donald Trump. Mr. Sato walked Nakazawa through the process, which would include cutting his hair, bleaching it, and using rollers to curl the ends before spraying the his new hairstyle in place. Last, Mr. Sato said he’d finish off the look by applying some make-up and a bit of color to his cheeks. Up first was a long-overdue haircut, which Nakazawa had put off for about a year. After about 10 minutes or so, Mr. Sato gave his expert nod of approval. Our reporter’s heart raced with excitement in anticipation to see how his makeover was looking so far. Apparently he had expected something a little more dramatic, and was momentarily disappointed that he still looked like his regular self, albeit with a shorter haircut. Still, there was no turning back now, and Mr. Sato went to bring out the bleach. It took two rounds to get that perfect, Ryucheru golden blond. ▼ He seems much happier than before, but that may just be because he looks 10 years younger! Mr. Sato also seemed impressed by Nakazawa’s transformation so far. With his hair all taken care of, now it was time to even out his complexion, which took a heavy layer or two of foundation. …but how about all of you readers? We think he looks pretty spot on! With his makeover complete, it was time for him to show off his new look by hitting up Harajuku. ▼ Nakazawa says he not only looks, but feels, completely different! Want to achieve this look for yourself? Gurashii has a Ryucheru-inspired make-up tutorial here. All other images copyright RocketNews24.